Basically, you adjust CRTC registers to get 100 rows of text instead of the usual 25; this gives you a character box of 8x2 pixels, a quarter of the normal 8x8. The lowdown on how this is done is all in reenigne's writeup, which is linked to at the top of this post. 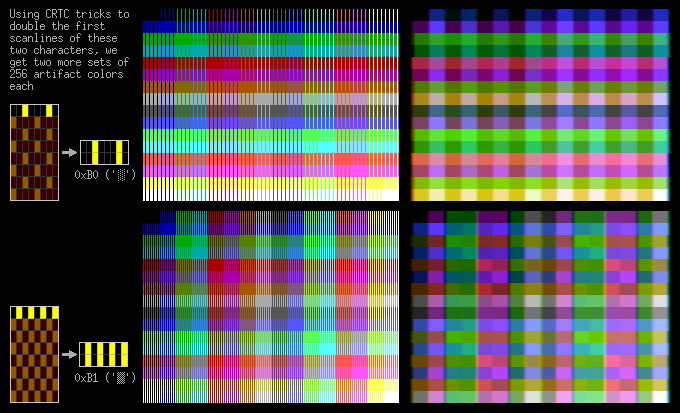 But this is the basic idea: by starting a new CRTC frame every other scanline and twiddling with the start address, it's possible to lay down our character rows so that the first scanline of each gets duplicated twice! Naturally, there are downsides: having to mess with the CRTC every couple of scanlines is quite taxing for the poor 4.77MHz 8088, so there's not much you can do with this other than static pictures. 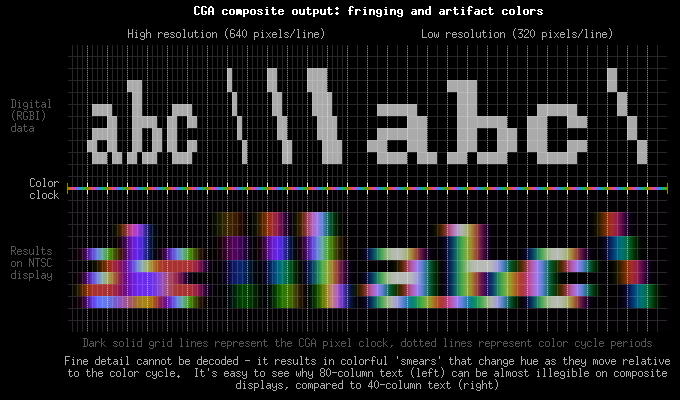 The 512-color variant, using only ASCII 0x55 and 0x13, doesn't suffer from this – it's basically "set and forget", requiring no more CPU intervention than any 80-column text mode (the familiar overhead of avoiding snow). 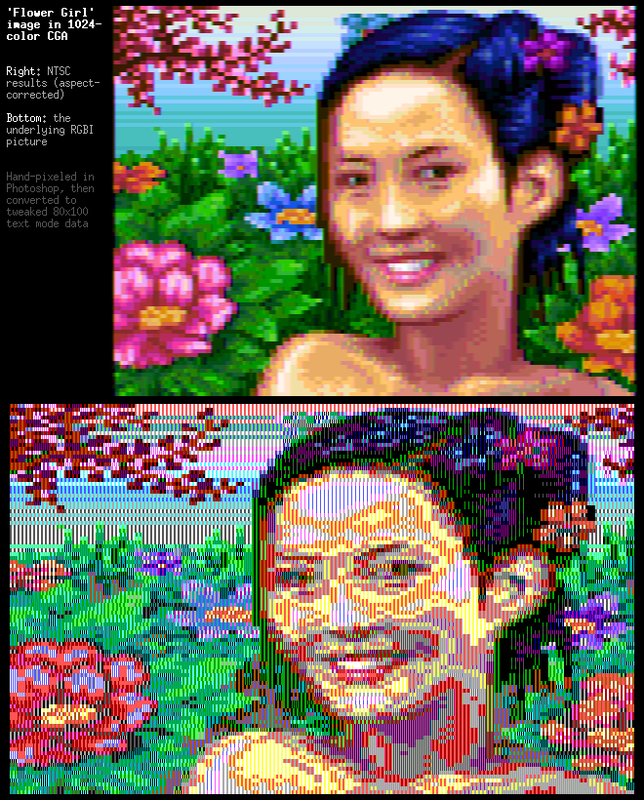 This entry was posted in Computer, Hardware, Murmuring, Recreation, Science, Television and tagged 1024, 8088, av, cga, composite on April 22, 2015 by Gea-Suan Lin.